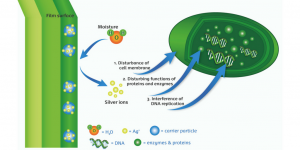 Wipak has developed an antimicrobial Silver-based film. Food producers have often concerns relying on packaging materials for achieving the required shelf life. The actual material shows different limits (i) Functionality of commercial systems is only possible by direct food contact (vacuum packaging); preferable would be a system for MAP-packaging (functionability via gas phase). 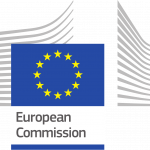 (ii) Acceptability of consumers is questionable (acceptation due to food additive reduction, reject due to the use of silver) (iii) Future Regulation could be a barrier (microorganism resistance) and has to be evaluated in detail (some natural oils or metabolites should reduce the resistance of microorganisms due to complex and variable composition and action modes). In relation with Actia-Biodymia laboratory, Wipak will establish its strategies for functional antimicrobial films: preferred consumer target and markets for silver based technology, preferred consumer target and markets for the variant technology based on volatile antimicrobial natural species, future regulation barriers and markets to avoid in the development of the technology.